Enjoy it people! This is the only picture of my face you're gonna see until I turn 18! 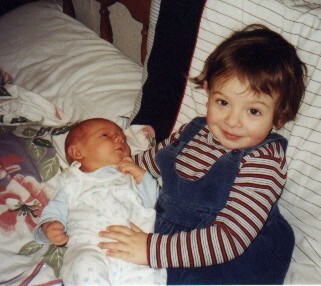 Here is me, when I was two, holding Brother Number One! Endor: I was! I wanted a little sibling SO badly!